The urbanization Vistabella Golf Homes, surrounded by countryside and nature, has apartments, villas, luxury villas very close to the golf course, with all the services you need. The Golf Resort is located in a privileged place in Orihuela, where you can enjoy the quality of life offered by the Costa Blanca (Alicante). 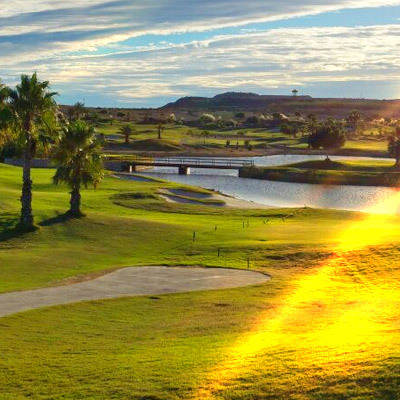 Discover a unique landscape in your Golf course on the Costa Blanca, near Torrevieja and Alicante. The design of the course and its excellent orientation allow us to learn to play golf, practice, participate in championships and finish with an aperitif in our club. All to enjoy the tranquility of the countryside, nature and closeness to all the services you need for your comfort. At Vistabella Golf there is space for everyone. 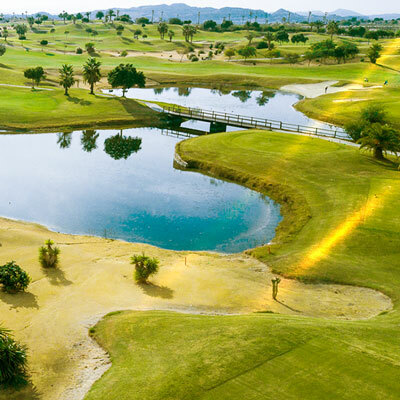 The course is designed so that each player can enjoy it from start to finish. 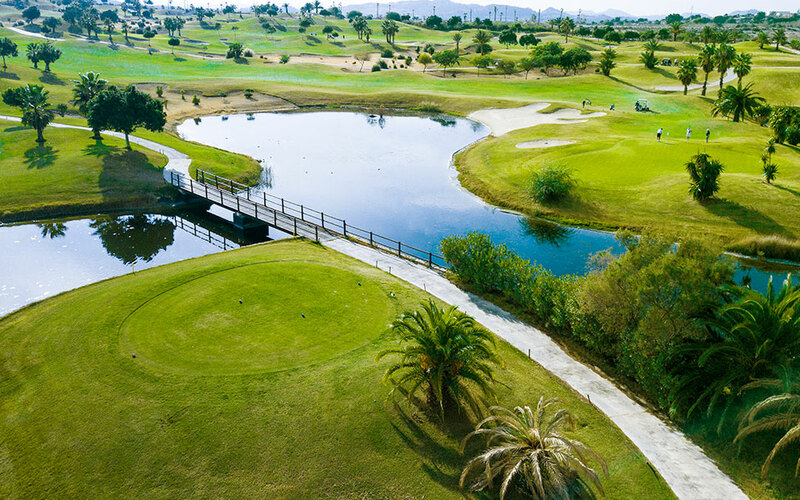 Its undulating streets, strategic bunkers or lakes are some of the features that make it one of the most attractive designs in the area, where every stroke is a challenge and a pleasure for the senses. The 18 Holes of Vistabella Golf , par 72 and more than 6,000 meters in length have been designed following the guidelines of the modern fields with 4 tees of great amplitude in each hole, wide fairways and raised bunkers. Learn more about the Vistabella Golf golf courses here . 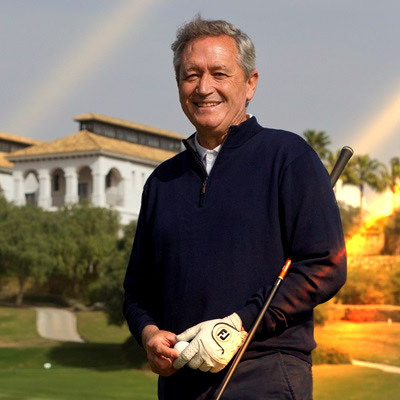 The golf professional Manuel Piñero (World Champion with more than 30 years of experience) has managed to design a really interesting course, thinking so that both the most demanding professionals and amateurs who want to start can enjoy it to have fun with this sport. Vistabella Golf Homes has prestigious golfers as teachers at its Golf School: Adrian Rudge (PGA Advance AA Golf), Pia Kuivuranta (former player of the Ladies European Tour and PGA Level 5 Coach) and Pearse Murray (Euro Pro Player since 2013). See more information about the Vistabella Golf Academy of Golf here . In Vistabella Golf there is space for everyone. The course is designed so that each player can enjoy it to their liking , adapting the different holes for different player levels . Thus, each player can progress according to their level thanks to the different theoretical-practical classes that we put at their disposal, with top-quality materials and a spectacular course of practice. In our field located in a natural environment you can disconnect while practicing in our field. The design has been carried out following the guidelines of all the modern fields that include 4 tees of great amplitude in each of the holes, raised bunkers and fairways of great amplitude.